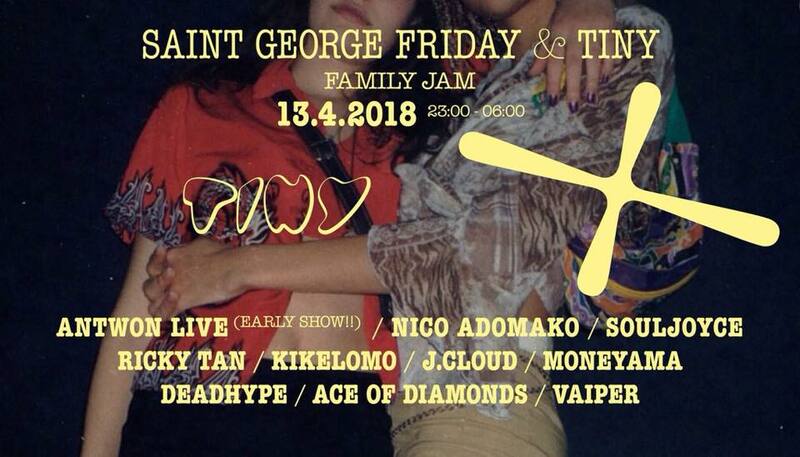 Dust off your dancing shoes and get ready for a cool jam at one of the coolest clubs of Berlin: Saint George Friday & TINY Family Jam. Some of Berlin’s finest Rap, RnB, Boogie & Funk DJ’s will spin the desks, while the original cloud/inst rapper ANTWON will open the night. AND there’ll be free Pizza by Tiny’s Pizza. If that doesn’t sound like a cool night, what does? This entry was posted in Event, Hipster, Music, Party and tagged 2018, club, Food, Kreuzberg, music, Party, Survival Guide, Whats up in Berlin by U inn Berlin Hostel. Bookmark the permalink.